Redmi, a brand from Xiaomi, has been on a launching spree since its establishment in January this year. 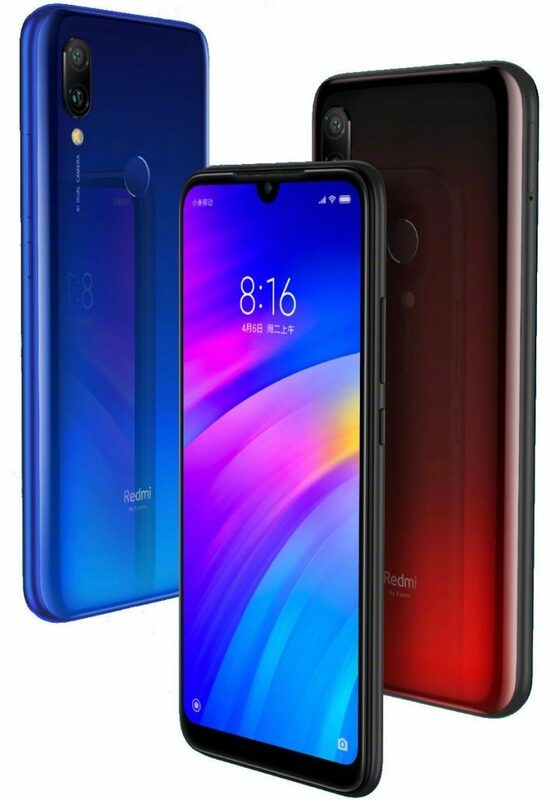 After launching Redmi Note 7, Redmi Note 7 Pro and Redmi Go, here comes another smartphone from the company. 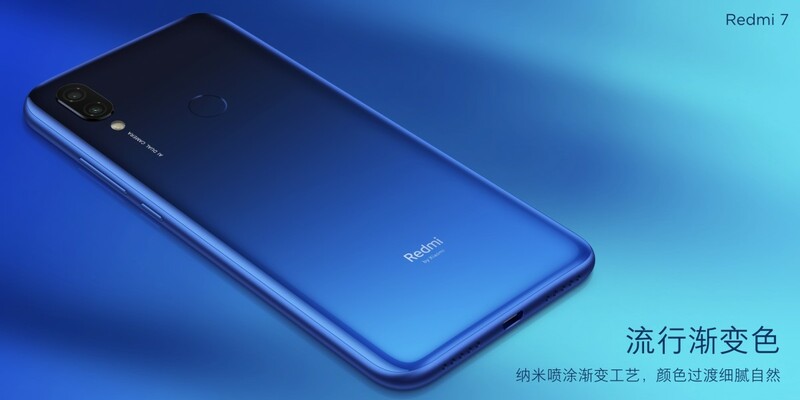 As expected, at a launch event in China today, along with the launch of Redmi Note 7 Pro smartphone in China, Xiaomi’s Redmi brand has also launched its next-generation budget Redmi series smartphone — Redmi 7. The smartphone features a 6.26-inch HD+ display offering a waterdrop notch, 1520 x 720 pixels screen resolution, and 19:9 aspect ratio. The display is protected by a layer of Gorilla Glass 5 on top. Under the hood, the device is powered by the Qualcomm Snapdragon 632 octa-core processor. 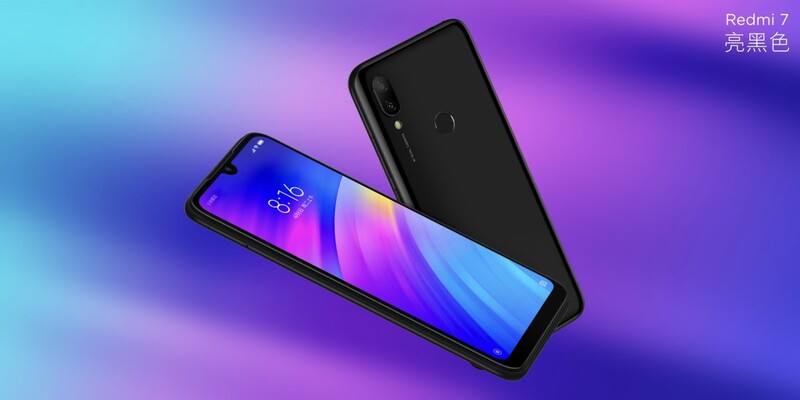 In terms of memory configuration, the phone comes in three options — 2 GB RAM + 16 GB internal storage, 3 GB RAM + 32 GB internal storage, and 4 GB RAM with 64 GB internal storage. It also supports storage expansion using a microSD card. Coming to the camera department, the smartphone features a dual rear camera setup, consisting of a 12 MP primary sensor and a 2 MP front-facing snapper with an LED flash and several AI-based features. On the front side, it comes with an 8 MP AI-powered shooter. The smartphone runs Android 9 Pie OS with MIUI 10 out-of-the-box. The phone also comes with a P2i nano-coating making it splash proof. Connectivity options on the device include Dual SIM, 4G VoLTE, Wi-Fi b/g/n, Bluetooth, GPS, and 3.5mm headphone jack. The Redmi 7 is powered by a 4000 mAh battery. As for the pricing, the 2 GB RAM model is priced at 699 Yuan (~$104) while the 3 GB RAM model costs 799 Yuan (~$119). The top-end variant with 4 GB RAM is priced at 999 Yuan (~$149). The phone will go on pre-sale from today in China and the first sale will take place on 26th March.